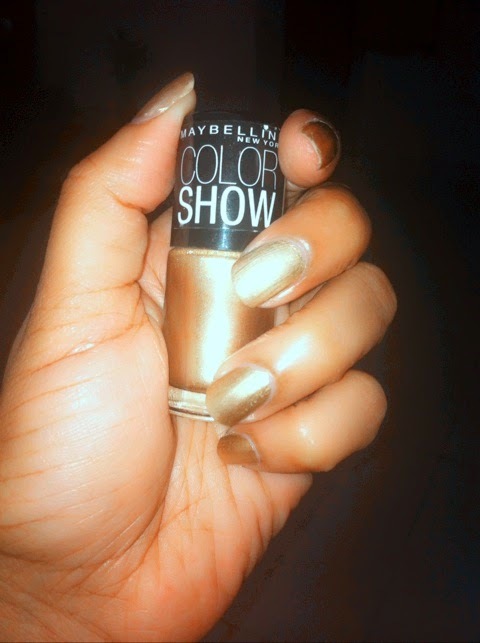 A post that been way too delayed but I am doing it nevertheless coz I know a lot of you who read my blog share similar tastes and I wanted to share with you guys the 3 colors I liked and picked from the Maybelline Colorshow Collection. 1. Kiss me Pink (003): This is the perfect cheat color between a red and a pink. I would call it a chameleon color that looks like a red on you when you wear a red outfit and a pink when you wear a pink. Also if you are one of those gals who likes red nail, make sure you have this color in your collection. 2. 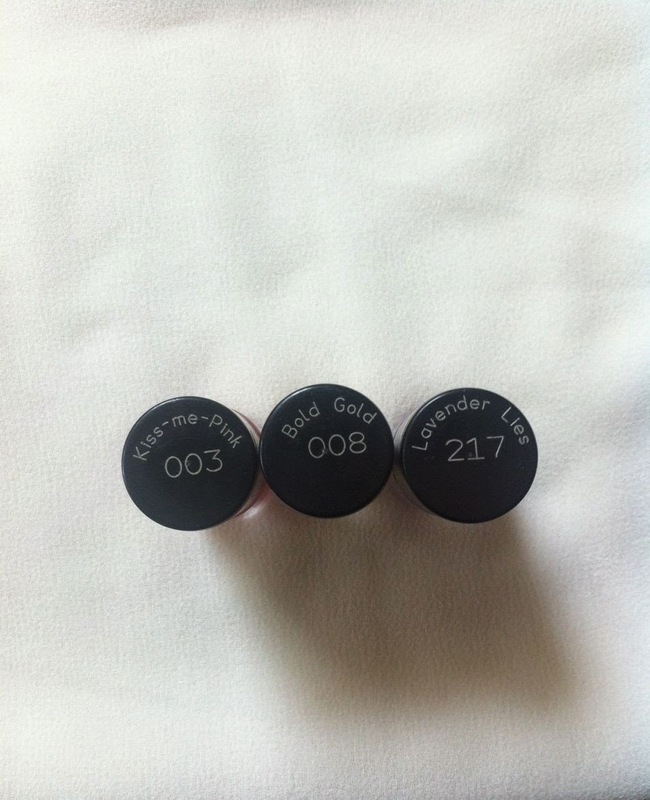 Bold Gold (008): Looks like the name 'Bold Gold' is a standard for a Maybelline star product. I have worn this color way more than I had already expected. Its been on my toes shamelessly for a month now...yes you read it right- a month (confessions of a shameful beauty blogger...lol). This I would say is a family color, coz once you wear this all the aunties, cousins and hype baccha party around you are sure to borrow it from you especially during a family destination Indian wedding when gold fits every occasion and every age. Trust me on this. Have ditched my favorite Zoya gold nail polish for this. 3. Lavender Lies (217): I had worn my sisters Faces Lavendar nail paint when I had visited her in Dubai click here to see. I had liked how the color looked on me and had decided to get out of my comfort zone for nail polishes (you are join to see my wear yellow n green nails soon...no jokes). So when I saw this color I just grabbed it. 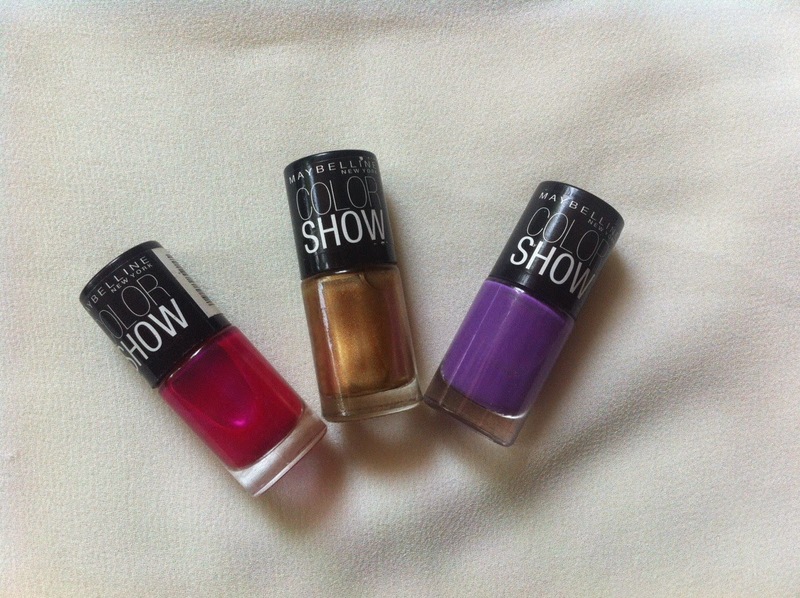 Review: Maybelline has now added a lot more colors to the collection. There is also a lighter lavender shade I would have preferred. i) It stained my nails slightly. ii) Compared to other Maybelline nail polishes this one takes some time to get off.